We specialise in Refrigerator repairs! A refrigerator is an essential part of everyone’s home. Styles vary from single-door, side-by-side, french door, ice-maker units and more. 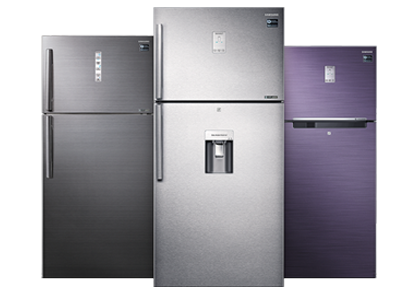 We service refrigerators in and out of warranty for manufacturers such as Samsung, LG, BOSCH and more. 1. Field Service applies to all products that are categorized as standard-size and that are otherwise not included in the Liebherr range. 2. Liebherr Service applies to all freestanding and integrated Lieherr units. 3. Additional charges will apply for a secondary technician should one be required to assist with the repair. 4. Applicable to in-home labour only. Additional service charge of $176.00 will be applicable if your product requires a workshop repair (compressor, drum, etc.). 5. The service charges outlined above remain applicable even if quote is declined, if there is no fault with the product or if parts are no longer available through the manufacturer/supplier. 6. Refer to our Terms & Conditions. 7. Report will only be provided once the service charge has been paid.